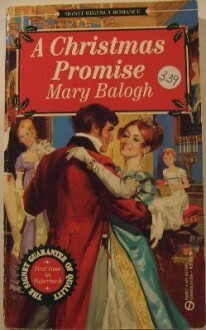 Mary Balogh knows how to write a great Christmas story! This historical romance goes from strong animosity to love all encompassed in the holiday activities and at one point it even had me crying. Using his fortune, Ellie's father forces her marriage to Randolph the Earl of Falloden.